Wear | Sana Ako si Ricky Lee! This is going to be one of my longest post, because this is something that I’ve wanted to write about for the longest time, but only recently got the permission to do so. 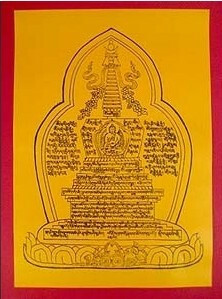 This is a sample of Stupa where one can put a copy of the FOUR DHARMAKAYA RELIC MANTRAS. 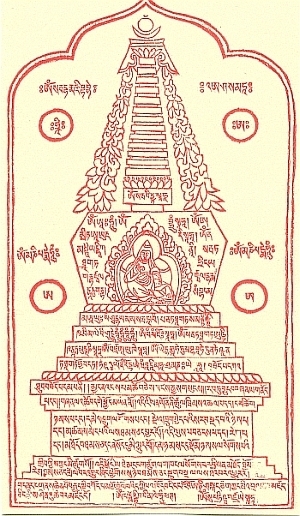 In one of my trips to Singapore last year, I met with my guru Lama, and when I informed him about my blog and my desire to write about THE FOUR DHARMAKAYA RELIC MANTRAS and the LAMA ATISHA PROTECTION AMULET, he said that I can only write about them once he has given me the permission and once we have ensured that writing it will benefit my readers as well and that I will write for a bigger purpose. 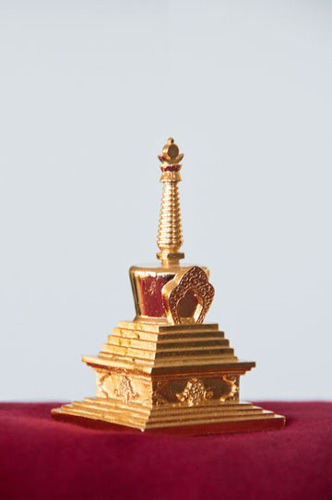 In short, I cannot write about them only because I believe in THE FOUR DHARMAKAYA RELIC MANTRAS and LAMA ATISHA PROTECTION AMULET and that I want to write about it. He also added that I need to pass several ‘test’ before I can write about them. 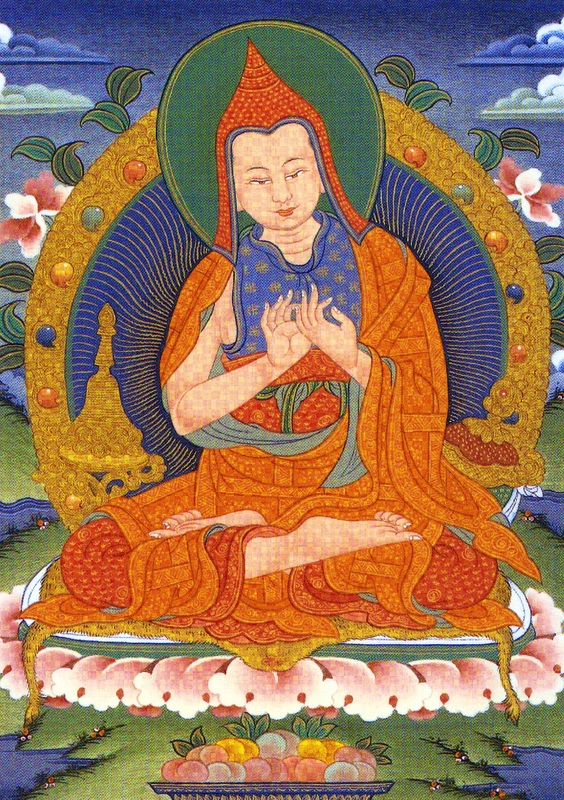 I cannot go into details as to what are those tests are but it involves an oracle to be done by my guru Lama. 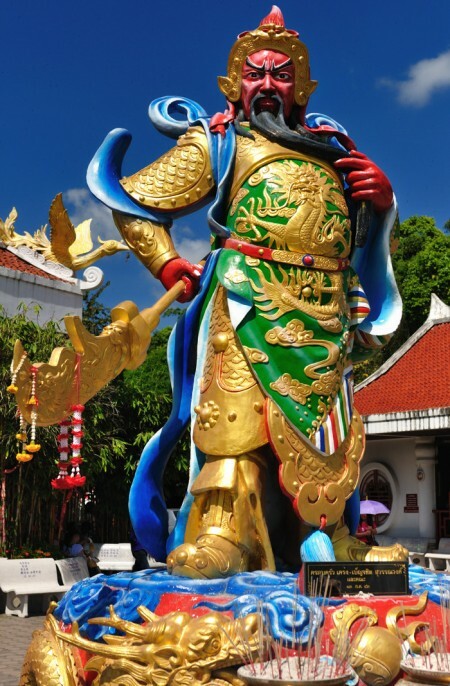 I first heard about the wonderful power of THE FOUR DHARMAKAYA RELIC MANTRAS several years back, I was already a student of Feng Shui then but not yet a serious student of Buddhism. This happened in Malaysia. I was looking for a Prayer Wheel that used a microfilm; this was when Prayer Wheels are still mostly made of ordinary paper. 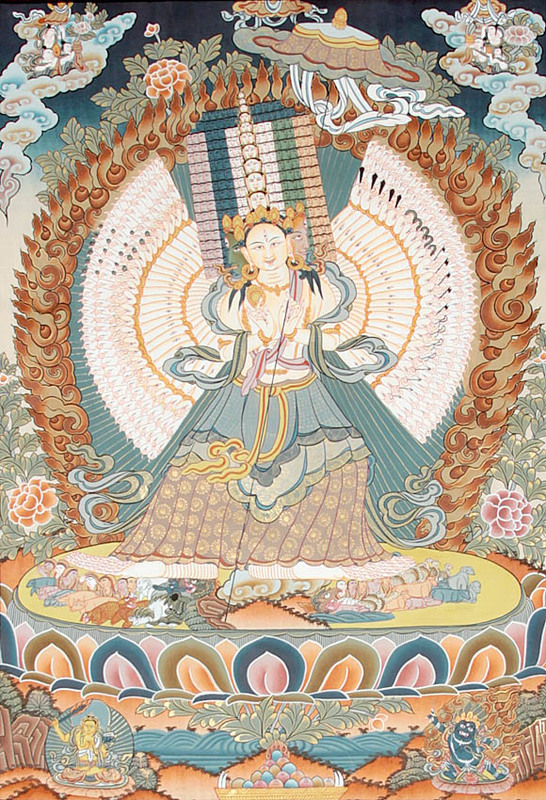 When I wasn’t able to get what I was looking for, the seller told me that more than Prayer Wheel; I should get myself a FOUR DHARMAKAYA RELIC MANTRAS and use it as an amulet. 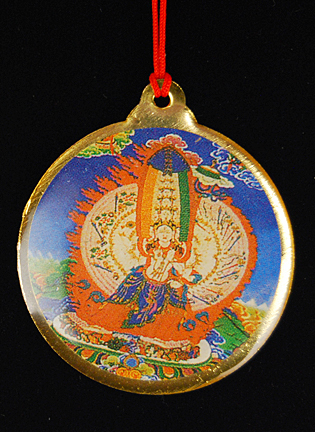 That was the first time I heard about THE FOUR DHARMAKAYA RELIC MANTRAS, and the seller told me about it. One time, the monk gave him a 3 pieces of bread (mantou – a siopao dough without the meat). He only ate one, and when asked why, he explained that he would give 2 pieces to his mom. This earned him some praise from the monk. He then left to look for his mom to give the bread. On his way to look for his mom, who is doing some menial jobs in nearby market in exchange for a small amount of money, he came across a boy who looks really hungry. According to the seller he took pity, and decided to give a piece to the boy, although he all said that he had second thoughts because a piece of bread, for somebody who is always looking for food like them is a very big thing. Nevertheless, he said since he knows how it is to be really hungry; he decided to give it to the boy. Little did he know that the monk followed him to give him some fruits. The monk saw what he did and asked told him to bring he should ask his mom to go with him to the temple the next day. This is one of the easiest and ‘cheapest’ way of creating financial, career, and personal success for yourself. Not only that it is easily accessible everyday but it is also totally free. Basking yourself under the morning sun (between 7am to 9am) for 5 minutes is one of the greatest way to enhance your yang energy that may bring various kind of luckl. It’s pretty simple. All you have to do whenever you feel that you need a boost of luck is to make sure that you are ‘showered’ with the early sun’s ray. Do this between 7am and 9am. Just stay under the sun’s shine for about five minutes and do nothing but feel that the sun’s energy is washing all the negative energy, but more than that, that it is boosting you with fresh yang energy. Also make sure that your work place and your room get’s a dose of sunlight everyday. This simple practice will make sure that your workplace and room is always energize with one of nature’s greatest Feng Shui gift. 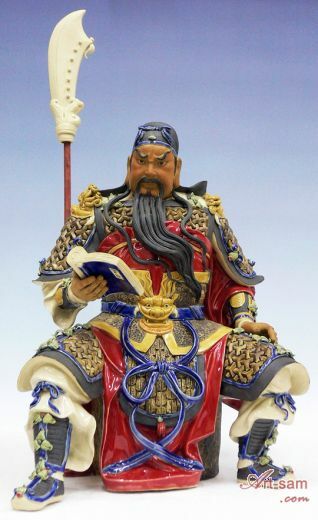 DO READ THE OTHER ‘SPECIAL ENERGIZING BUDDHIST, TAOIST, AND FENG SHUI RITUALS TO BRING FINANCIAL, CAREER, AND PERSONAL SUCCESS’ ARTICLES: (1) Tap the Power of the Sun’s Yang Energy; (2) Tap the Power of the Buddhist and/or Taoist Auspicious and Sacred Symbols by Displaying Them at Your Home or Workplace; (3) Upsurge the Yang Energy of Your Front Door and Living Room; (4) Wear Some Mantra or Seed Syllable as Jewelry; (5) Put Sacred Objects/Images in Your Home and Workplace; (6) Read Sacred Texts to Imbibe Different Kinds of Blessing; (7) Make Peace with the Spiritual Realms Through Incense, Holy Sound, and Mantras.